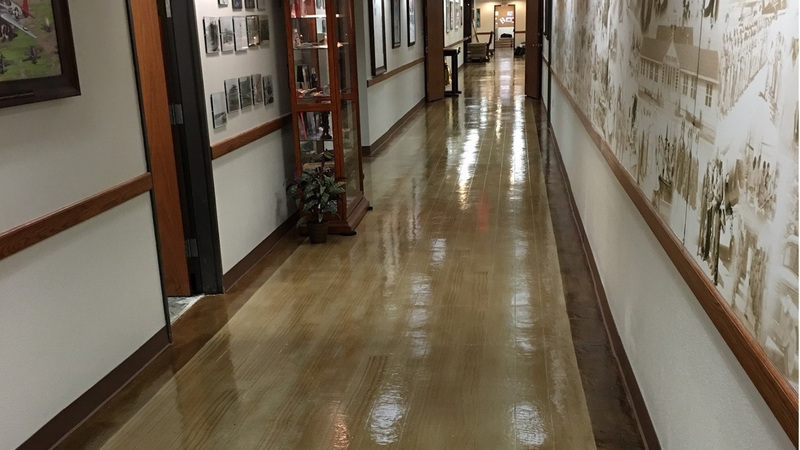 NO MASKING TAPE SHOULD EVER BE APPLIED TO A STAINED, SEALED OR DIAMOND POLISHED FLOOR It is not the type of tape, but is a chemical reaction between the acid in the glue and the chemicals in the sealer that creates a bond. If you have spills or pet accidents where you need to clean or disinfect the floors, you can use a Steam Mop, water diluted Simple Green or water diluted Ammonia. Never use harsh detergents as they will cloud and destroy the sealer. For Chair leg protection, we recommend - Furniture Feet - www.buyfurniturefeet.com - These are also available at Amazon and on E-Bay. 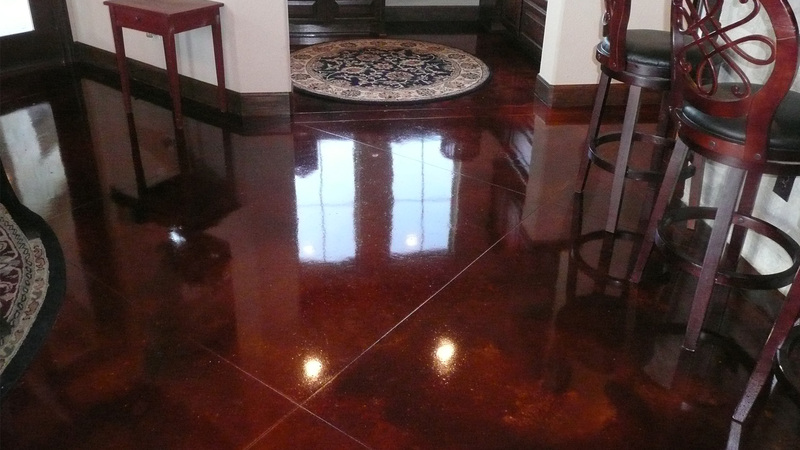 You can extend the life of your floors by having an Acrylic Floor Finish applied. If you want to do this yourself, contact “The Stain Store” 210-340-4627. 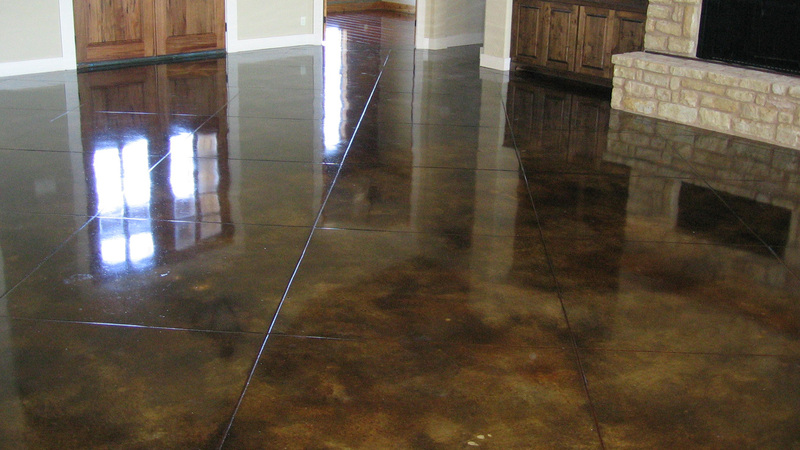 If you would like to have this done for you, contact John at JS Cleaning 210-269-5974. Keeping the floor clean on a daily basis is best accomplished by using a dust mop. For more thorough cleaning, the most popular method coming from our customers is to use a Steam Mop. 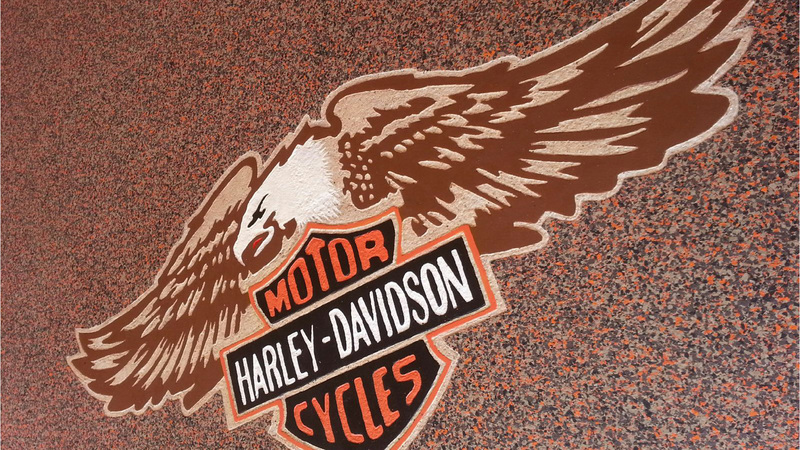 Do not lay Rubber backed mats on a Stained Concrete floor. The rubber will stick to the Sealer. You can place an old bed sheet or other cloth directly on the floor and they lay the rubber backed mat over them to protect the floor. When using carpet pads under area rugs, be sure to use high quality pads. The inexpensive pads have a high amount of rubber in them and will also stick to your floor. Do not lay thin plastic sheeting on your floor. 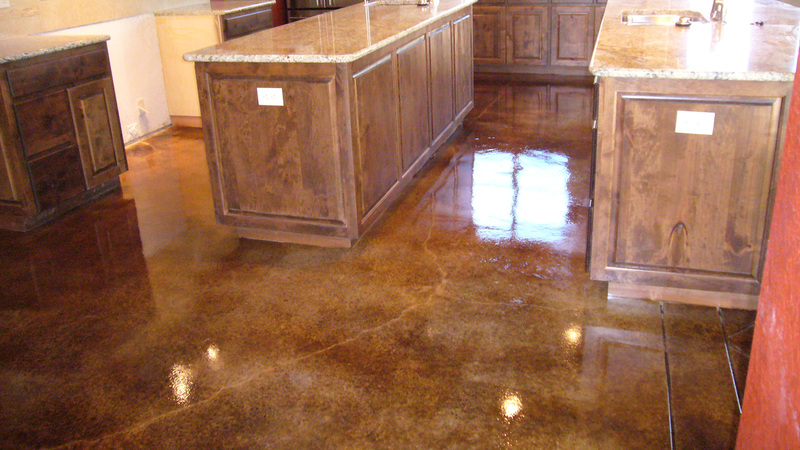 Over time, this will also bond to your sealer. Plastic furniture protectors are fine to use and will not stick to the floor, but we recommend Furniture Feet as referenced above. If you have an area in your home where a rolling chair will be used, such as an office, you will need additional protection on your floor. Use either a non-rubber backed carpet or a thick plastic floor protector without the carpet nubs, or for Fine Glass Floor Protectors, go to www.vitrazza.com. Large dogs can cause damage to the Sealer if their nails are not kept trimmed.